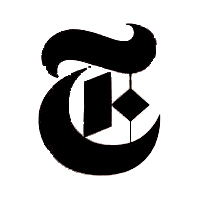 Don’t tell my mom, but the NY Times said that she’s not always right. And actually, when it comes to business the writer does have a point. In the business world, it is better to be judgmental, cautious, pessimistic, and not always completely honest. So while our moms taught us to be kind, open and honest, well, that’s just not good for business! Sorry Mom! Sometimes it is tough to be both a good boss and a good person at the same time. However, I would say that if you’re a bad person, chances are your employees think you’re a terrible boss too. My mom told me three things growing up. 1. There’s no money in communications (true, but if I went into engineering, I wouldn’t be doing this blog right now), 2. Go to Penn State (Yep… WE ARE! This was good advice because I didn’t pay too much for my communications degree), and 3. Always vote Democrat (but you can make an exception for Ron Paul). And now I bet she adds a fourth item to her list: 4. Stop reading the NY Times. This entry was posted in Career, For Your Reference (recommended articles, sites, etc.) and tagged boss, business, career, moms, ny times, success. Bookmark the permalink. Listening to Mom. Heh. Well, there may be money in engineering but is there fun? Don’t answer that. And I wrote about WE ARE… last night, too. Mom taught me that I could be anything I wanted and it didn’t matter that I was a girl. I could climb trees, get dirty, build houses, be good at math (not writing, like you), and still be a girl. OK. So I’ve proven that I could. Now what? Now what? You use your big engineering money to buy your poor communications major sister presents!!! I don’t think Mom has read this post yet. She hasn’t called to tell me that the NY Times is a bunch of filthy liars. Haha… First, I told my Dad I wanted to be a writer, and he said there was absolutely no way I could make any money there. Then, I told him I wanted to teach English, and he told me there was no money there either. Lastly, I told him I wanted to do communications (public relations) and he looked at me like I was crazy. Oh wow, if there is any industry that is less profitable than communications, it’s teaching! We really are the generation that believed we could be anything we wanted to be. But our parents wanted us to want to doctors, lawyers and engineers. I am also hoping I made the right choice. I love working in media and PR. And I just realized that I’m typing this while finishing a bowl of Ramen noodles! Good luck with the writing! I’m sure your many fans, including me, will be excited to see how far you go.